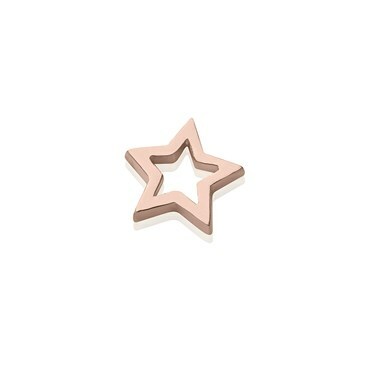 From the collectible Storie charm range, this pretty rose gold star charm is a stunning addition to any Storie locket. This gorgeous openwork star charm has been expertly crafted from sterling silver and finished in a striking rose gold vermeil finish. Each custom Storie locket is designed to be opened and personalised with your choice of floating charms which are significant to you - creating truly treasurable Storie lockets unique to you and your journey.